June 17, 2011 - at the Institute of NAS of Ukraine held a seminar "Development of thematic component geospatial data infrastructure in Ukraine." It took part experts from Ukraine, Russia and Slovakia to the active support of his Association global spatial data infrastructure. Among 50 participants were specialists from Slovakia (Bratislava), Russia (Moscow), Ukraine (Kyiv, Odessa, Kharkiv, Dnipropetrovsk, Lviv, Simferopol, Kherson). During the seminar there were discussed the legislative and regulatory support for development of SDI in Ukraine, the scientific principles of organization and presentation of thematic mapping information in the SDI, the value of the National Atlas of Ukraine in the formation of SDI. 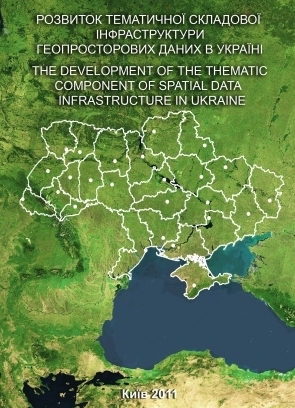 There were expressed by conceptual, methodological and technological approaches to the formation of an infrastructure of geospatial data and its thematic component in Ukraine, development of thematic mapping on the basis of SDI.